Everyone wants to pass their test first time, and MINT wants to see that happen for you as well. PRACTISE: If you’re in a situation to, then get behind the wheel as much as you can between lessons and work on any skills you still need to master, whilst also keeping up on the things you’re great at. Your MINT Driving Instructor will be able to tell you what to work on. (Just make sure you’re insured on the car you’ll be driving and your supervising passenger meets the legal requirements). MOCK TEST: Your MINT Driving Instructor will take you through a mock test so that you can get the full experience of how it feels taking the driving test. We recommend a two hour session for this. You may be ready to take it, or you might require a few more hours behind the wheel first. Your MINT Driving Instructor will give you the best advice on when to go for it. You must take your Driving Licence and theory test certificate with you to your test. Your MINT Driving Instructor will pick you up at the time agreed; you’ll go for a drive and warm yourself up ready for your practical test. You’ll arrive at the test centre around 10 minutes before your test is due to begin, head to the waiting room and await your name being called out. You’ll sign the declaration on the test report and off you go! Your examiner will ask if you would like anyone with you on the test. You can opt to have your MINT Driving Instructor observe by sitting in the back of the car (they won’t get involved in the test – just observe in silence). It’s entirely up to you. They’ll wait for you at the test centre if not, and if you allow them to, they’ll listen to the debrief at the end of the test. The test lasts around 40 minutes and is set out by the DVSA. The Examiner will then offer to explain what to expect on the test (we recommend you let them explain it). And then you’re off! Most tests use Sat Nav for around 20 minutes of the journey, however on one in five tests candidates will be asked to follow directions in advance by following a mixture of signs and or advanced route directions. Aside from that the Examiner will give you route directions as you go in the same way you have been used to with your MINT Driving Instructor. You’ll be asked to pull over on the left several times and then drive on to rejoin the traffic. During the test you’ll take in a variety of road types, from housing estates to back roads to dual carriageways. Then when you arrive back at the test centre you’ll get your result there and then. You’ll be offered a debrief where any faults recorded will be explained to you. 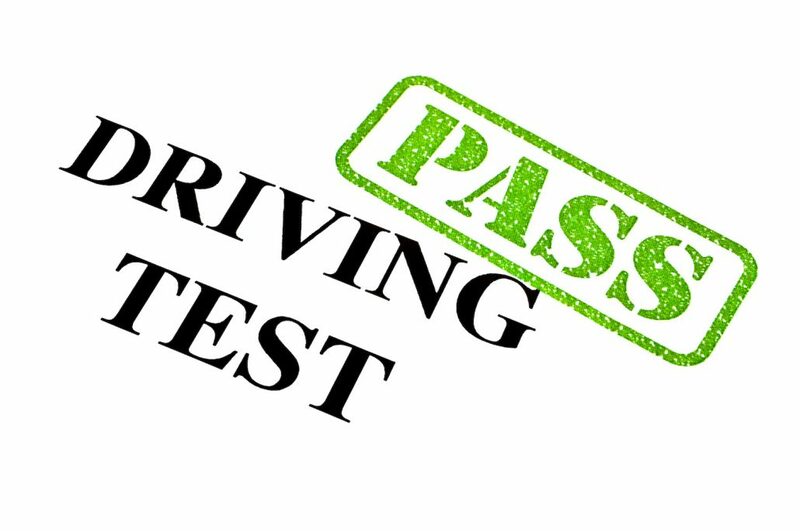 If you pass, you’ll be given a copy of your test report and pass certificate at the end of your test which means you’re free to drive unsupervised as long as your car is insured correctly and road worthy. 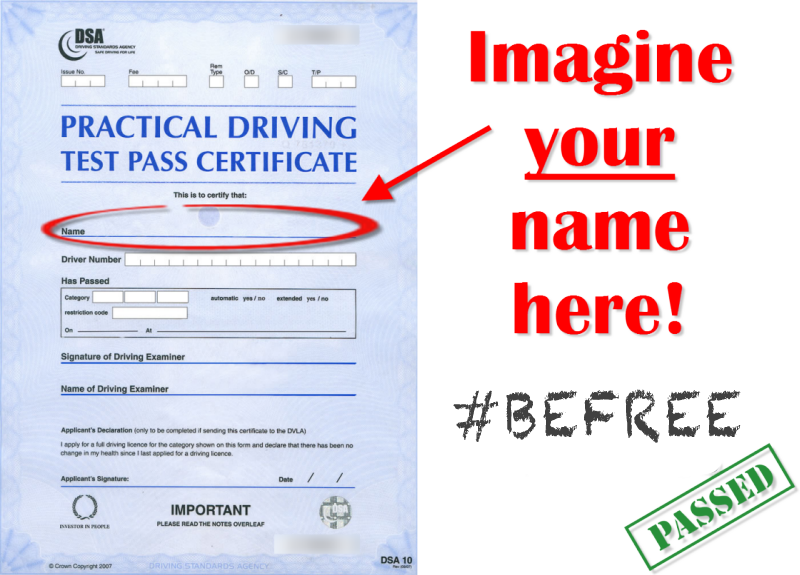 If you don’t pass, the Examiner will explain why, and give you a copy of your test report. Bring this to your next lesson so your MINT Driving Instructor can help your work on the faults so you’re ready to tackle it again.